Gabrielle Chanel considered Arthur ‘Boy’ Capel as more than her soul mate; he was her double and her alter-ego. Inspired by their love, BOY CHANEL is a vibrant, perfectly balanced scent that challenges tradition and transcends gender. Boy is very good. In general, Chanel fragrances are very good. I will continue to buy them, because that money goes right to the Wertheimer family. But I beg you to stop this romanticized, obsessive fetishization of your literal Nazi founder. Your continued insistence on waxing poetic about Gabrielle “Documented Nazi Spy” Chanel and the minutiae of her not-nearly-miserable-enough life makes me so, so twitchy. 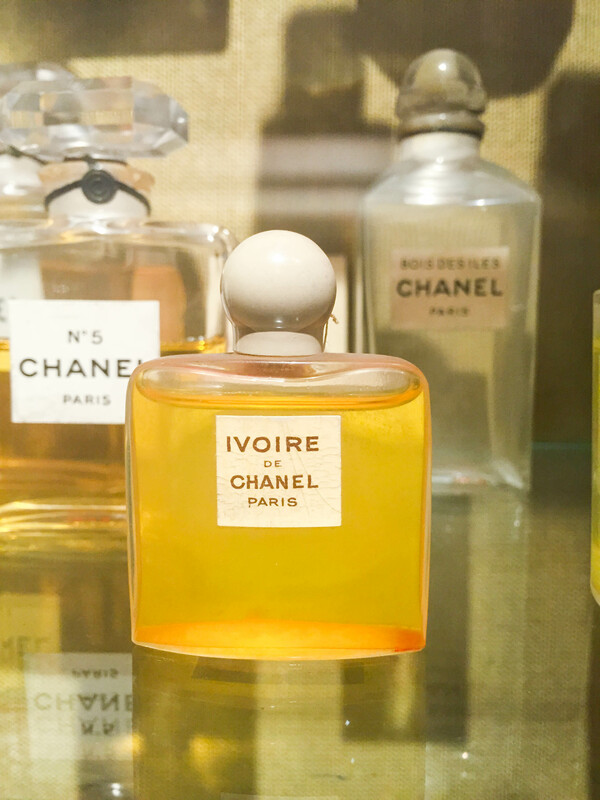 Boy is the latest in a long line of fragrances paying swooning tribute to Chanel’s “soul mates”, her “confidantes”, her favorite color, even her goddamn home decor. THE WELL IS DRY, CHANEL. IT WASN’T EVEN A GOOD WELL TO BEGIN WITH. You cannot make me care about Coco, Chanel. You cannot make me care about her lacquered screens or her “soul mates” or her goddamn prom date. 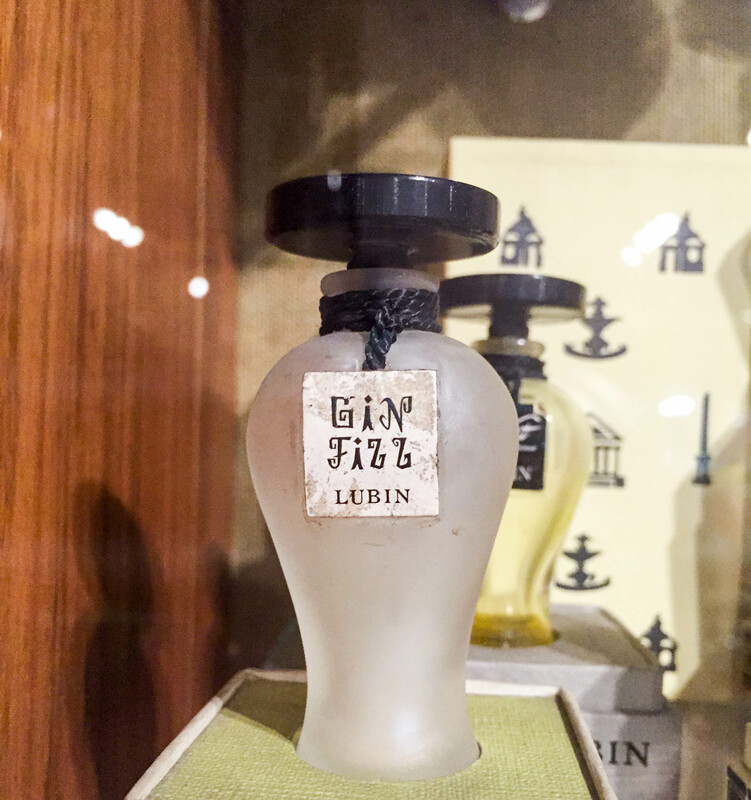 I promise that there is more exciting perfume name source material than the woman who reported directly to motherfucking Heinrich Himmler¹. 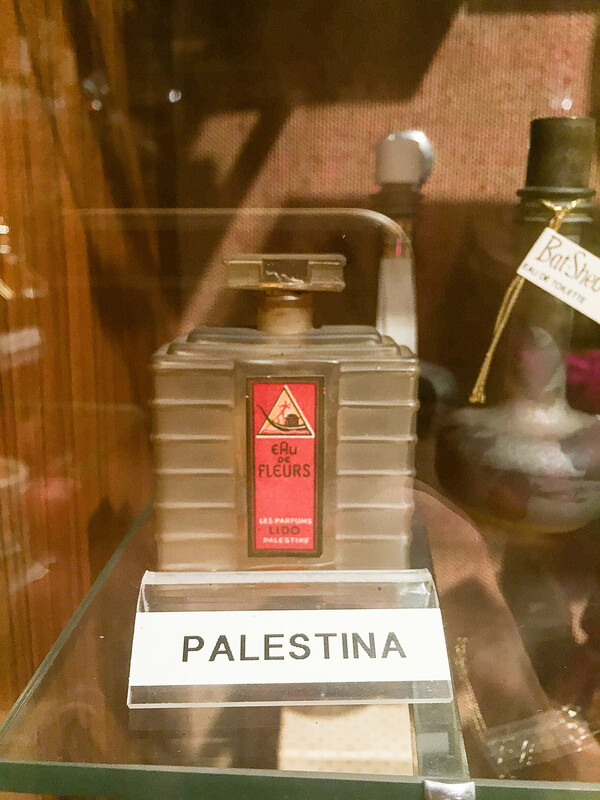 If you’re having trouble thinking of names that aren’t inspired by the petty, small woman who took advantage of Nazi laws forbidding Jewish ownership of property to petition for the seizure of Parfums Chanel from its legal Jewish owners², may I offer a suggestion? Your current head designer, Karl Lagerfeld, is the owner of the cutest cat in the world. Choupette Lagerfeld is a veritable fount of potential perfume names! How about Francoise or Marjorie, Choupette’s full-time maids? What about all of the models who’ve had photoshoots with Choupette? Gisele! Kendall! Laetitia! Linda! Name one after her favorite iPad app! Choupette must love Pokemon Go so hard. And then you put Choupette in the ads, okay? It’ll go more viral than Brad Pitt, promise. Cats in perfume ads. Inevitable. Don’t worry about my consulting fee; not having to write one of these posts every time you release a fragrance dedicated to good old Gabby is payment enough. Good talk, guys! Can’t wait for Eau de Choupette! ¹ Vaughan, Hal. Sleeping With the Enemy: Coco Chanel’s Secret War. Alfred A. Knopf, 2011: p. xix (Prologue). ² Mazzeo, Tilar J. The Secret of Chanel No. 5. HarperCollins, 2010: p. 150. ³ Vaughan, Hal. Sleeping With the Enemy: Coco Chanel’s Secret War. Alfred A. Knopf, 2011: p. 205-207. Disclaimers: This post is not sponsored (could you tell?) and does not contain affiliate links. 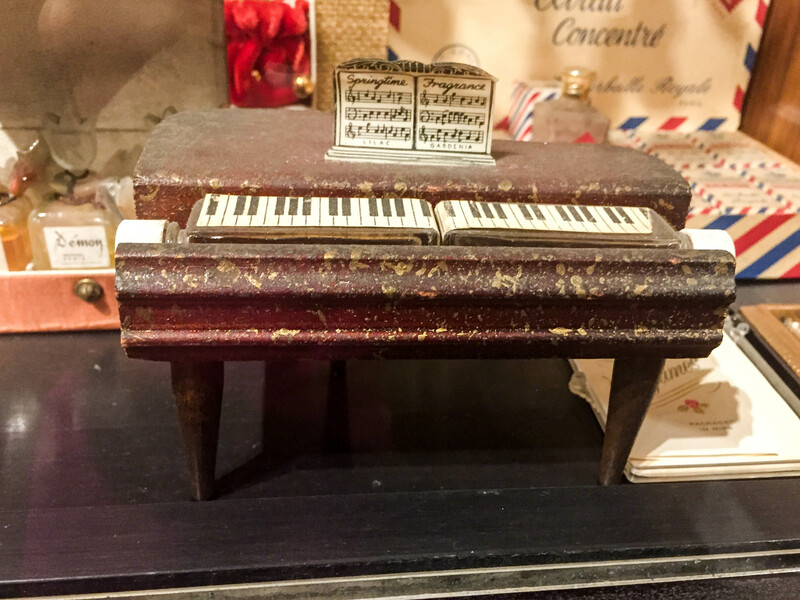 I sampled Boy at my local Chanel boutique. Don’t let that 2.5 Trip Advisor rating scare you away. 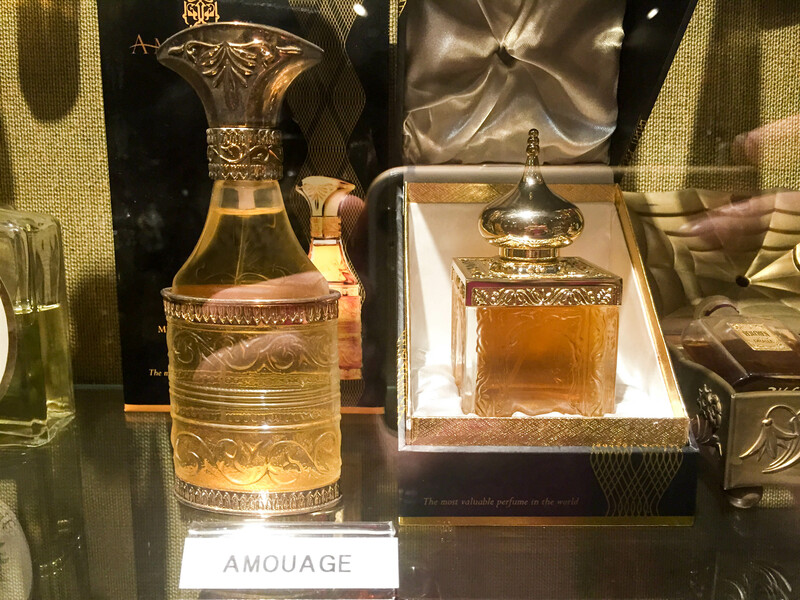 Ignore the review calling the Museu del Perfum “one room you could walk around in 1 minute.” That lowly one room contains one of the most unbelievable perfume collections on earth, a spectacular 4,000 bottles ranging from ancient Egypt to modern day. 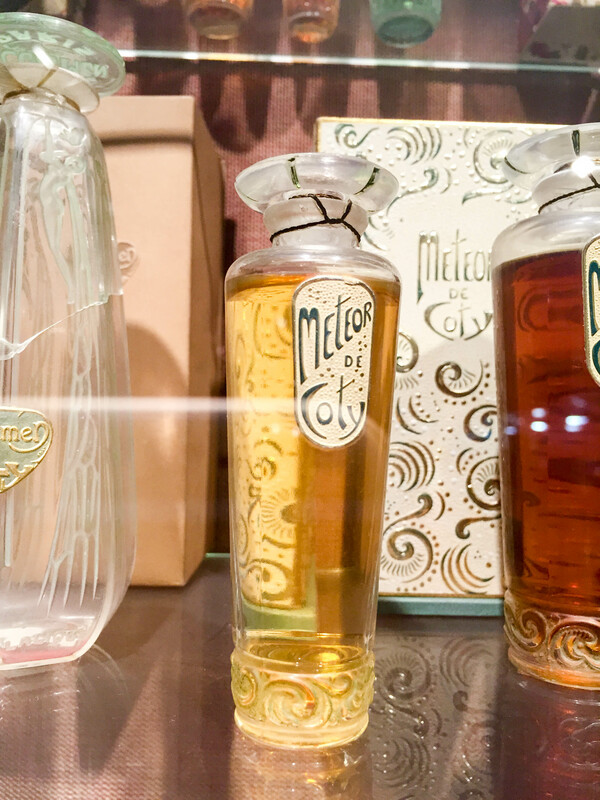 The museum starts off old-school: Roman clay urns from 500 B.C., gorgeous 18th century Italian glasswork, and even two bottles owned by Marie Antoinette. I somehow have only one picture from this section. Bad blogger! She’s totally judging my blogging. Major side-eye. 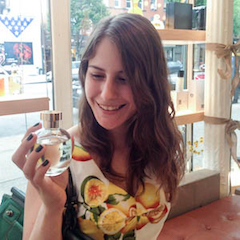 About halfway through the collection, the fragrances are categorized by national origin. 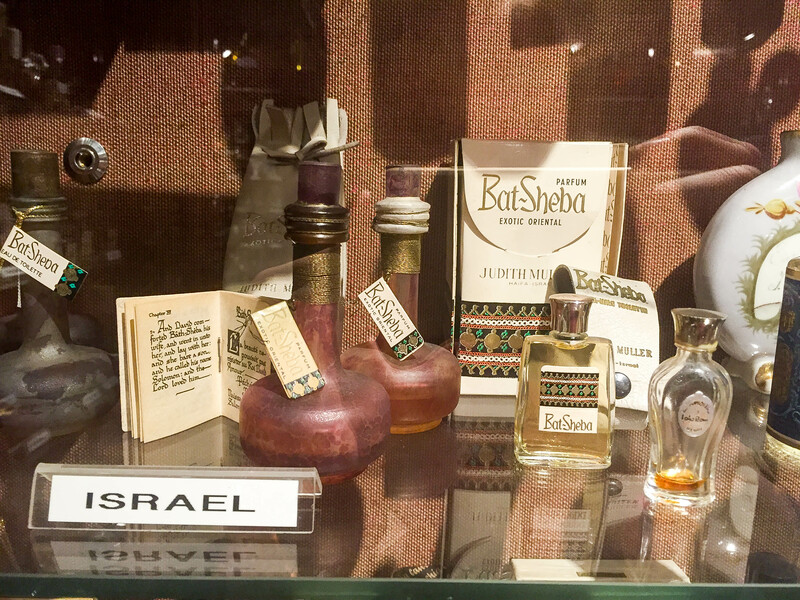 It’s nice to know that Israel and Palestine peacefully coexist, at least behind a glass case in Barcelona. We’ve finally reached my favorite part! 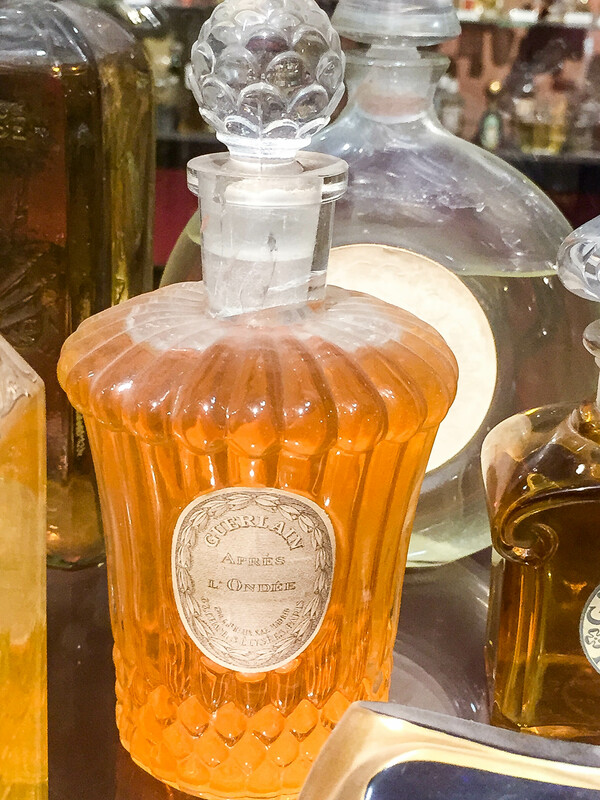 The end of the museum is a dazzling parade of long-lost, legendary fragrances from the last century. They had all the big names, but even more thrilling were the unknowns. 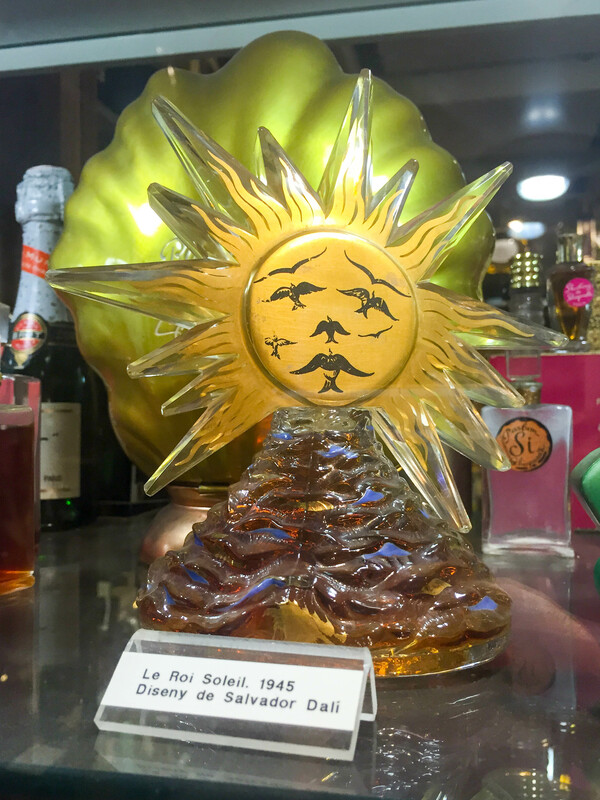 Chanel Ivoire, Guerlain Fol Arôme, Meteor de Coty; mysterious bottles that I had never heard of before despite their big brand names. 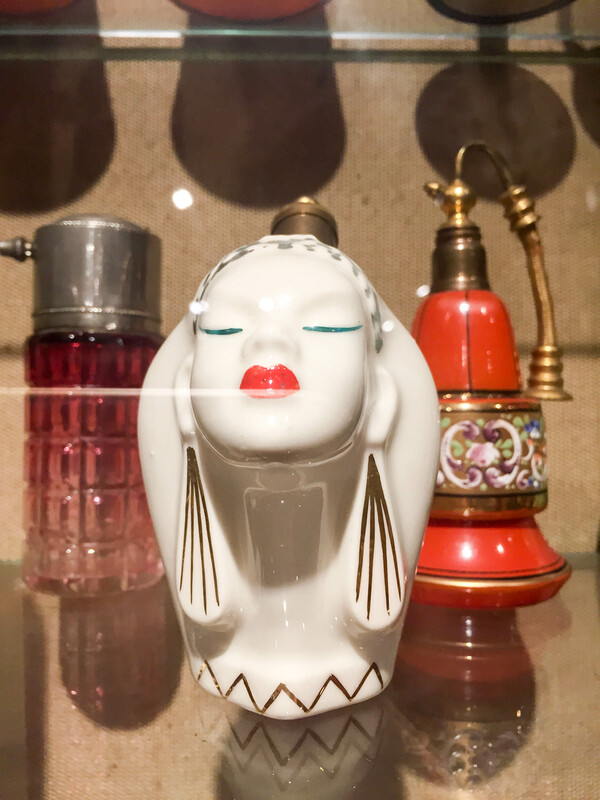 Lost fragrances that no longer exist outside of the museum’s display cases. All you can do is stare at them through the glass and try to imagine what they would have been like. 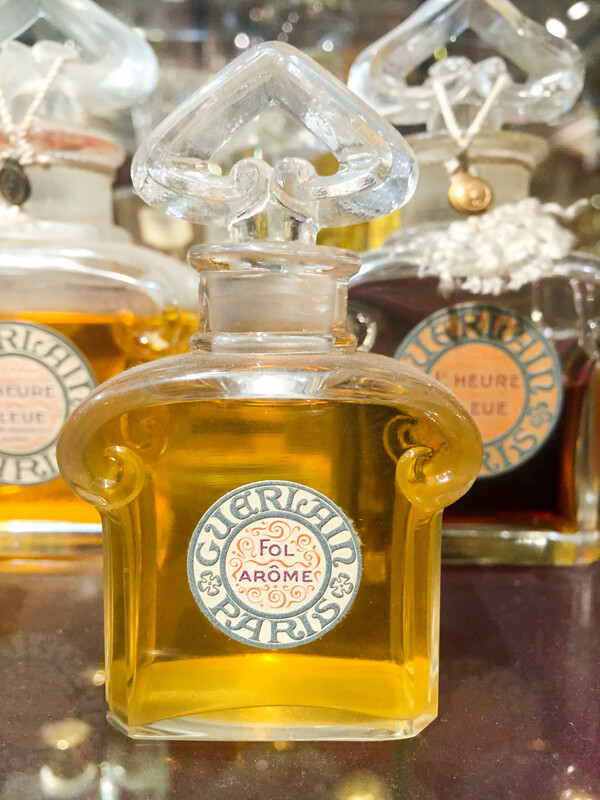 No museum is complete without a gift shop, and Regia Perfumería has one of the best selections of niche and high-end fragrances outside of France. 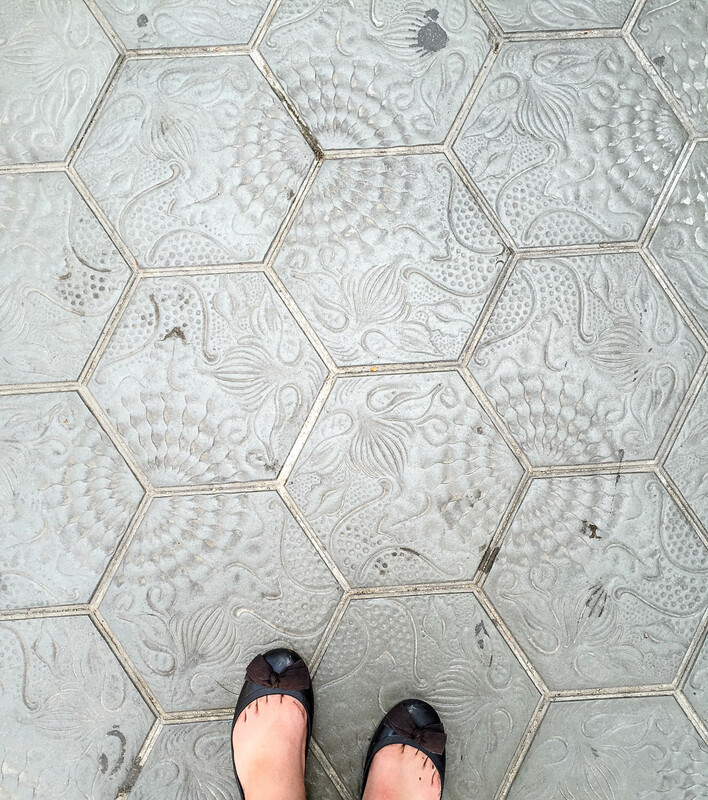 If you can tear yourself away (I couldn’t without a bottle of the deliciously warm Frederic Malle Musc Ravageur), the magnificently whimsical Casa Battló is just a few Gaudí-designed tiles further down the street. 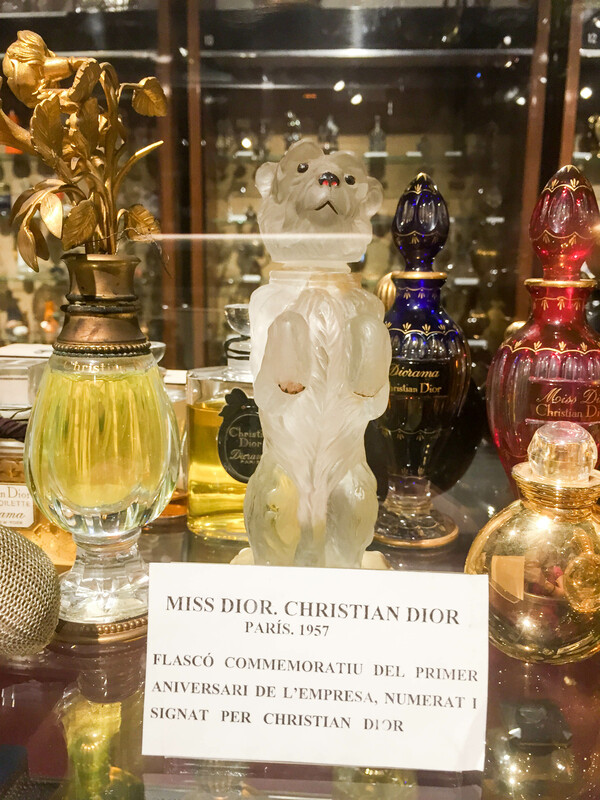 I really need more perfume bottles to be in the shape of a bear. Disclaimers: This post does not contain affiliate links. 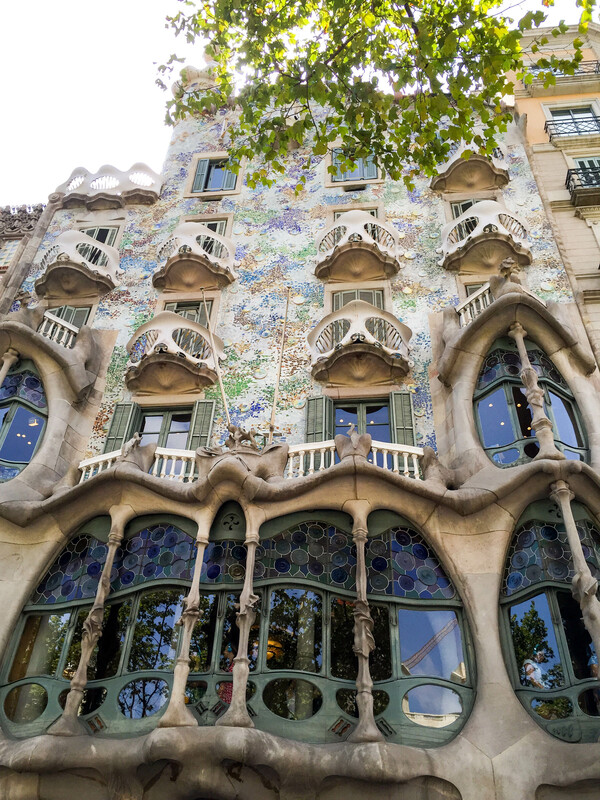 Please note that the museum goes by both Museu del Perfum (Catalan) and Museo del Parfum (Castillian Spanish). All museum captions are in Catalan, which my high school Spanish was totally unprepared for.